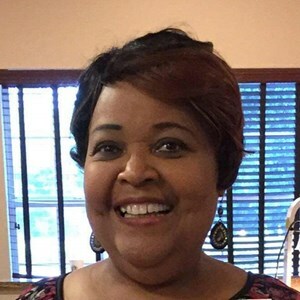 Lena E. Tolliver, age, 59, of Orlando Florida passed away suddenly on February 4, 2019 in Orlando, FL. She was the loving wife of Robert Tolliver Jr.
Lena was born on March 31, 1959 in Kokomo, Indiana. She lived for many years in Ohio before relocating to Central Florida. Lena was an entrepreneur who loved to sell handbags. Within the last few years, she and Robert proudly ran a volunteer food pantry helping feed many hundreds of needy people. She served as an ombudsman, as a US. Navy wife. Lena was strong in faith, she also served in church ministries with many roles such as choir director, ministry leader, usher, and many others. In addition married to her husband, Robert, of 41 years, she is survived by her two daughters, Roxi Batten and her husband, Michael, and Sharita Tolliver; her son, Robert Tolliver III, and his wife, Akisha; four grandchildren, Robert Tolliver IV, Brayden Tolliver, Alexia Tolliver, and Daniyah Batten; brothers, James Holman and Carl Smith; and three sisters Rita Martin, Deborah Coleman, and Sandra Singleton. She was preceded in death by her mother, Eloise (Smith) Holman; and a brother, Robert Holman. Funeral services will be held on Tuesday, February 12, 2019 at 11:00 am at Newcomer Funeral Home (Newcomer Cremations, Funerals & Receptions East Orlando), 895 S. Goldenrod Road, Orlando, Florida 32822. Visitation will be Monday February 11 from 5:00 pm to 8:00 pm. Interment will follow at Greenwood Cemetery. To share your memories of Lena or leave a special condolences message for the family, please click the share Memories button above. Add your memories to the guest book of Lena Tolliver. Lena, oh how time flies seem like not to long ago we were at True Holy singing in the choir every Saturday and the sleepovers at aunt Dot’s house. Even though we have not seen each other in many years I still hold memories of our friendship close in heart. Rest In Peace my dear friend. It's painful to think of my brother Bobby. I also have one younger brother and a sister who will get to greet Lena!! Bobby's birthday was celebrated at that same mountain where I celebrated Lena's life and our brothers life at the same time. Bobby must be so happy for Lena to join him, but knowing him, his spirit had to have been present to embrace her as she transitioned this life and do as I explain to children who are dying the world over, she just walked in the next room. Though she can't see us and we can't see her, we know she's merely in the next room. We are fully aware of each other but our energy or lifeforce merely moved to a place and space just in the next room. Imagine for a moment Lena with Bobby preparing a place for us all complete with her own brand of comfort and sense of decorum. Isn't that a beautiful thought? Add that to our Holy Father's presence and the reward she is receiving at the feet of our Savior! Think on that. Hold that memory. She's only in the next room waiting for us to shelter us home one day with Bobby and the rest of our beloveds. You can't see her but you know she's there. Go into your heart and soul, bring up the best memories of Lena. Hold it. Embrace that. Then thank God you were able to meet during her sojourn here. Give thanks she's merely in the next room! She's waiting for that day when "we all get to heaven". What a glorious day. No sorrow, no bad memories, no pain, heartbreak and only basking in her heavenly glow with our Lord. She is as free as the seagulls screaming at the beach in the Atlantic and as peaceful as those mountains where we released those balloons in remembrance of her. I'd like to think Lena just loved being remembered even in Portugal and beyond as I continue to do what I do and her passing only inspires me to do more. At this time, in your heart of hearts, do you now have family or friends you need to reach out to who may well be receptive to making amends? If so, please LET go and LET God! For Lena, for those of us who for one reason or another did not get to say "see ya later", if hearts are not hardened then reach out. But you do not need to set yourself on fire if your overtures for peace are rebuffed. In those cases, LET it go! Move on. Embrace those who embrace you despite mistakes. Run from those who are stuck in half century ago! If she knew, Im sure things could have been resolved. I've been in therapy far too long to not know this day was coming and not be able to stop it. Regrets? Only that she left so quickly without me as she had me when she entered this life. The healthy thing to do is to have peace in your soul. Believe it or not, God can help you through it. Let Lena's very tired heart which gave out far too soon touch yours. She's only in the next room. Hold her in your heart until that day you see her again. But Bobby is there waiting and I'm sure he had a gift to give his sister as he helped her shake off the trappings of this world and ready her to be with our Savior, Jesus Christ! See her smile at that thought? She's only in the next room with God. Blessings Robert, Roxi, Sharita and Robby. She's home. I'm so sorry for this part of our family. I hate Lena passed and we didn't speak. That is sad. That's tragic and heartbreaking to think in her final moments my sister left this world without me. Truth will always be that...truth. It's painful, yet necessary to heal the soul. This will be a lesson, a testament to our mother, our grandparents and for those she left behind that living a good, full, Godly life is the true key to life. However one chooses a path in this life, as the poem says in the video, one can forget sad and bad things and embrace the goodness of one gone on to Glory. Lena would never have wished for wahala or confusion as her life was celebrated by those who knew her best. For me, our journey together, the few years we shared, will recall her beautiful smile, that beautiful afro I envied, her dressing in Daddy Leon's jeans and clothing each day. I recall the fights we had with our stuffed animals in our bunk beds. I laugh at the broken neck my cuddly friend suffered a broken neck in one fight. We laughed so hard every time she saw me hugging that poor thing. That's how we fought in our youth. No bad words spoken between us. Her life and Home Going saddened me greatly, however she deserves a peaceful rest and my presence would have not been welcome in any way. I chose to recall Lena as I knew her. I know as I held my own celebration of life with my family and friends, we released balloons in the air over the mountains in Portugal. This experience has with it true balance. One can see the fragility of life and the anguish of God calling a relative home to rest. While I have always been the one to deliver eulogies in these times, I have directed my staff set up a website to honor her life and embrace the fact that Lena is FREE. There is no way on this earth I could have delivered another Eulogy of FAMILY. Lena's soul, with that afro and that smile will live on long after the condolences are done. History will never forget her. I wont let it. Lena not just Orlando or Dayton or even Facebook or beloved businesswoman. She will be a global figure and history will not forget her good works, her impact on her community and those social justice issues close to her heart. Her beautiful heart gave out but she is "Free at last! Free at last! Thank God Almighty" she's "Free at last"
We got it from our Mama and I pray my nieces and nephew will wear the red T shirts as we are saying "I got it from my mama". I pray they remember that. Put it on a red t-shirt as we are doing like her red hat club. It's how I've chosen to remember her. Lena is my fourth sibling to go home to Glory. Praise God she is now free of the trappings of this life! My newest published work will have a memory only to LET to protect that privacy, yet recall her short sojourn in my own life. I choose to LET go and Let God. That's the legacy of Lena Evelyn Tolliver (LET). I donated her last transaction of money to children in South Africa who needed tents to protect them from malaria. In her own way, she never knew there is a memorial for that donation she thought "I" needed about 10 years ago. I never ever thought as I sent that with other funds and directed the purchase of those mosquito nets that would be her global legacy some day. It will be difficult but celebratory for me to revisit that village. I will ask a banana tree be planted in her name outside the village. The memorial plaque will allow others to see we "got it from our mama". I will see if a celebration book can be set up for villagers will tell how those tents helped keep their children alive. I hope to have them thank LET with that date of donation as I sent it. . I will need to see if we can capture the image of the presentation of those tents. She deserves the global thank you. I know all too well the pain of losing a mother. Its unfathomable and deeper than any canyon. One lives in a cloud not believing what has happened and working hard on soul healing to find some good in that passing. I teach energy can be moved but never ever removed. She remains in us as we knew her best. She lives on in our life experiences. Remember that. I choose to see her soaring so high and so free, yet sad as she approaches Heaven and her blessings from God Almighty, leaving her beloved husband and children and her grandchildren so sad. That is what we need to matter. Pray the Comforter, God's Holy Spirit, will give them peace as she transitions to stand with our mother, grandmothers and others Lena and the rest of those we loved now with Jesus. We have mourned those passing for generations. We each found a path, carved out our own piece of life despite our shared pain. Blessings Robert, Roxi, Sharia and Robbie. Your mom is free and smiling. Note: I have no public email address. You can reach me through my publicist only. Her memorial site containing only these memories will remain online once its up to mark her sojourn here forever. She deserves that global memory. She got it from our Mama. My condolences. Don't forget she was my SISTER. Confusion in the family is no way to recall her life. I chose a way to recall her passing. I had no mourning period, she will live in my heart as I last saw her. My good memories of that smile intact as it should be. That's the healthy way to do it. May the Holy Spirit bring comfort to our souls. Let her continue to soar without wings. She deserves it and the Lena I knew and helped raise would not wish sadness such as the passing of our mother to weigh her children down. I was so blessed to have hadLena as one of my dear friends. She was a tower of strength, always wanting to help and serve others. Lena had a wonderful smile and personality. Our visits and phone calls ment so much to me. My thoughts and prayers are with Robert and the entire Tolliver family. Our Lena loved God and her family and friends. She lived to make others happy and to serve those in need. Illness did not even prevent her from helping and serving others. I came to know Lena at Metroplan Orlando where she greeted visitors and provided Administrative Support to the Staff and Board members. She was one of my favorite people, always asking what we needed And she was loved by so many people. Her work was excellent. She was the Mayor of Metroplan. I will miss her presence in my life. And I thank her for everything that she did for me and our disabled community. May the Peace of God be with you all during this time of loss. Lena knew the Lord and now she is with him, in his loving care. Lena, when I heard that you were gone it took my breath away. But I know you're in a better place. My condolences to the Tolliver family on the loss of such a great woman. You will be in my thoughts and prayers. Lena you will never be forgotten. I will not forget the good times we had sharing conversations in the choir and working together. Your true compassion for people never went unnoticed. Always denying yourself and thinking of others. Heaven opens its doors to you my friend. May God bless and keep your family, because you will truly be missed. I will always treasure fond memories of you my friend Lena Tolliver. Your warmth and legitimate love for people have always been inspiring to me. Lena was a loving caring beautiful soul who loved to laugh and have fun with her family and friends. Everyone was always welcome, no one was a stranger for very long. She was one of a kind and will be missed by all who knew her. Lena, I thank God for the time we spent together talking, eating out and just being who we are. Your friendship will never be forgotten. I pray now that God will straighten your lovely family at this difficult time. Rest in peace. Your friend. Lena you will be missed dearly. Although we did not see each other every week, but always enjoyed our phone conversations. You pressed when the odds were against you and that is an encouragement to us who knew you. God Bless you family and Know God Got you all and has gained an Angel. I feel blessed that I could have Lena as a friend. We were supposed to retire together, which was on April 30, 2021. I’m glad she retired when she did so she could spend more time with her family. Thank you for sharing her with me and all the other thousands of people she helped. I am so sorry for her family. I know they have a big hole now to fill. She will be greatly missed. ?? Forever grateful that God connected us many years ago & allowed for so many great memories to be shared with you. I will hold tightly to those memories & never forget you. Thank you for spreading the love of Christ to all you came in contact with & for starting a ministry that will continue to be a blessing to many in need. My family & I will never forget you Momma Lena! I can't believe you're gone you are the truest woman of God I've ever met in my life I love you Lena you are my spiritual mother and I will always miss you and we will never forget you.